If you are not already familiar with sump pumps in Austin, now is the perfect time to learn a little bit about them. This is a pump that is designed to rid your basement or crawlspace of any accumulated water. The water is then safely removed from the house via the waste water system. While the actual core of the process is a simple one, installing one is a bit more complicated. For this reason, local home and business owners know to call on Moore & More Plumbing to get the job done. With 30 years of professional expertise behind us, we know what it takes to get the job done for just about any type of plumbing work. As a family owned company, we go above and beyond to take care of our clients. We make it a point to treat you the way that we would want to be treated. Give us a call today to find out for yourself how we have earned the flawless reputation that we have as a local Austin plumber. Obviously, the most important service this device provides is reducing the threat of flood and flood damage. The best way to have a flooding crisis diverted is to set yourself up for success with a sump pump. Did you know that one of the main reasons for electrical fire in a home is flooding? Rising water levels short circuit electrical appliances which leads to the risk of a resulting fire. Protect your home, loved ones and your electrical appliances with a sump pump. Another useful benefit is that this device will help lower the risk of developing mold or mildew. When dampness gets into your home, especially when it lingers, this is the perfect breeding ground for mildew and mold. Eliminate the likelihood of having your belonging ruined or having possible resulting health issues by utilizing a sump pump. If you would like to find out more about sump pumps, all you have to do is give us a call. 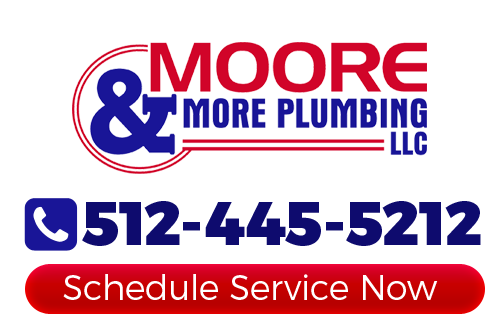 Here at Moore & More Plumbing, we take great pride in the work we do which includes educating our customers and providing top quality plumbing services in Austin. No one wants to have to deal with flooding and the good news is that you may not have to. 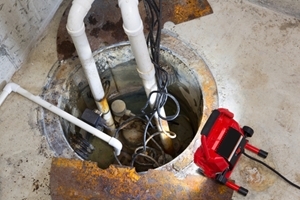 Protect your home or business by letting our experts install or repair a sump pump for you. If you would like an estimate for sump pumps in Austin or the surrounding areas, please call 512-445-5212 or complete our online request form.